How Green is your lipstick? We’ve all been there. After a long day, the idea of hitting the gym seems more unlikely than getting through an episode of This Is Us without crying a bucketful of tears. But for women with endometriosis, regular exercise, which can also be a healthy coping mechanism for stress, is more beneficial than not moving, according to Kery Knutson, a certified Nutritional Therapy Practitioner, licensed Wellcoach and registered yoga teacher based in Boynton Beach, Fla.
Boca Raton, Fla.-based certified personal trainer Eileen Averkiou has also found exercise to be highly beneficial to her clients’ mental health. So even when binge-watching Netflix and becoming one with your couch seems like the only options for the day, muster up your inner strength to get moving in some capacity. Your body will thank you for it later. One of the most common theories is retrograde menstruation which occurs when endometrial cells and menstrual blood travel upward via the fallopian tubes. From there, the cells can implant into the abdominal lining and onto the organs, causing inflammation and scarring (11). Nearly all women experience some degree of retrograde menstruation, but it’s been suggested that a higher volume of blood enters the abdomen in women with endometriosis (12). A condition which occurs in cells in the abdominal lining mutate into endometrial implants through a series of reactions in the body. Similarly, it’s been proposed that stem cells and bone marrow cells might change into endometrial implants (6, 13). Lymphovascular trafficking, which is the spread of endometrial implants through the lymphatic system. However, these are just theories for now, and it seems other factors likely play a role as well. Oxidative stress appears to be a key one. It’s a term that describes cellular damage from molecules called free radicals. Oxidative stress can be caused by exposure to chemicals and pollutants, stress, and other stimuli including the process of ageing itself (14). Recent research also suggests the immune system could greatly influence disease onset and severity. 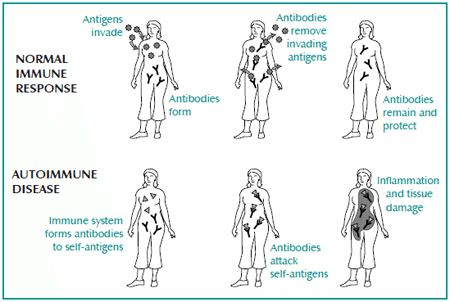 Autoimmune disease develops when the body’s immune system mistakenly attacks healthy tissues. Endometriosis shares several key features with autoimmune disease, including systemic inflammation and the presence of autoantibodies. There’s also a strong overlap between endometriosis and other autoimmune conditions, like celiac disease and Graves disease (15, 16, 17, 18). These similarities have many experts asking whether endometriosis should be classified as an autoimmune disease instead. It’s an emerging area of research that will likely be explored in greater depth in coming years. Summary: Endometriosis is likely caused by a combination of genetic, immunological, physiological, and environmental risk factors. It’s similar in many ways to autoimmune disease, although it’s not considered to be one at this time. There’s no known cure for endometriosis. The condition is commonly treated with surgery, hormone therapy, and medications. No diet has been proven to treat endometriosis either. However, small studies and patient reports suggest that certain diet strategies can help reduce disease risk and lessen symptoms. This could be because certain foods can help control inflammation and influence levels of certain hormones (oestrogen and prostgladins). These include omega-3 fats, vegetables, and other foods, which will be discussed below. Significant research has looked at whether fat consumption affects endometriosis risk and symptoms. Unfortunately, some studies have found high-fat diets to be more beneficial, while others have found low-fat diets to be better (19, 20). Women who ate the most trans fats were 48% more likely to have endometriosis than women who ate the least. Women who ate the most fats from animal products—and especially palmatic acid—had a 20% higher prevalence of endometriosis than those who ate the least. Women who ate the most omega-3 fatty acids were 22% less likely to have endometriosis than those who ate the least. Even modest increases in omega-3 fat intake appear to be beneficial. One study found that replacing 1% of calories from trans fats with omega-3 fats decreases risk by 50% (21). The exact mechanism for this is unknown, but omega-3 fats have been shown to reduce inflammatory chemicals in the body, including cytokines and certain types of prostaglandins (22, 23, 24, 25). For the record, trans fats are bad for you in many ways so replacing them with omega-3s makes sense regardless of whether you have endometriosis. Aim to eat at least 7 ounces (about 200 grams) of fatty fish per week, and limit baked goods, fried foods, and packaged items. Summary: Studies suggest that a diet higher in omega-3 fats and lower in trans fats may reduce endometriosis risk and severity. The recommendation for healthy adults of at least 7 ounces (about 200 grams) of fatty fish per week would also be beneficial for women with endometriosis. Food intolerance can cause unpleasant reactions to specific foods. Common symptoms include digestive distress and skin rashes. Small studies have found higher rates of food intolerance in women with endometriosis compared to healthy controls (26). Patient testimonials (reports) suggest that a gluten-free diet is effective in treating endometriosis. This may be true, as some studies have shown an overlap between celiac disease and endometriosis. A gluten-free diet may even provide symptom relief for those who don’t have celiac disease. In one study of 207 endometriosis patients, 75% of participants reported significant reductions in symptom severity after 12 months on a gluten-free diet. They also reported improved mental health, social function, vitality, physical function, and perceived healthiness after following the diet (28). More studies are needed to understand the relationship between gluten and endometriosis. At the very least, those with celiac disease or a known to have a sensitivity to gluten should strictly avoid it. 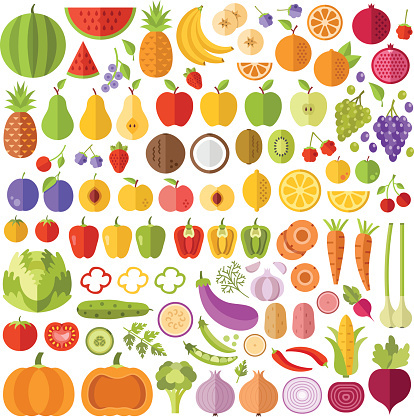 FODMAPs are short-chain carbohydrates that are poorly digested in the small intestine. They reach the colon largely intact and ferment in the gut, causing bloating, gas, abdominal pain , and other digestive symptoms for those who are intolerant of them. Studies have established strong links between irritable bowel syndrome (IBS) and endometriosis (29). A low FODMAP diet has been proven for treating IBS, and recent research suggests that it may be useful for easing endometriosis-related bowel symptoms as well. This is due in part to a high overlap rate between IBS and endometriosis. In one study that included 58 women with both conditions, 72% of patients saw a great improvement in bowel symptoms after 4 weeks on a low FODMAP diet. The success rate for the low FODMAP diet was also significantly higher for women with endometriosis compared to women with just IBS (30). Research has shown strong links between endometriosis and autoimmune disease. This is a strict elimination diet designed for those with autoimmune disease. It’s meant to correct imbalances in gut bacteria and reduce inflammation. Unfortunately, there have been no scientific studies on it to date. But patients with various autoimmune diseases have reported symptom relief using the AIP in online forums. Importantly, note that this diet is very restrictive. It’s meant to be a short-term fix to help identify food intolerances for those with diagnosed autoimmune diseases. If you have severe endometriosis and another autoimmune condition, a trial of the AIP may help after discussion with your doctor. A gentler, easier alternative would be to keep a food and symptom journal for several weeks to identify foods that trigger symptoms. Summary: There’s a strong overlap between endometriosis and food intolerance. Gluten free or low FODMAP diets may be helpful in improving symptoms for some women. The autoimmune protocol may be helpful short-term for those who also have autoimmune disease. Everyone can benefit from eating more vegetables. Among many other advantages, higher vegetable consumption is linked to lower risk of endometriosis. One large study of 504 women found risk to be significantly lower in women who eat a lot of green leafy vegetables (31). The mechanism for this isn’t fully understood, but many vegetables are high in antioxidants, which help combat oxidative stress. Vegetables are also high in fibre, which has been said to help rid the body of excessive estrogen. In one study of 242 women, those who had the highest dietary fiber intake had significantly lower levels of estrone and estradiol (both forms of estrogen) than women who had the lowest fiber intake. The exceptions in this study were grapefruit and avocados, which were linked to higher estrogen levels (32). Surprisingly, evidence is more mixed when it comes to endometriosis and fruit consumption. One study found higher fruit intake to increase risk, while other studies have found women who eat more fruit to have lower risk (19, 31). Aim for at least 5 servings of vegetables and 2 servings of fruit per day, endometriosis or not. Summary: Vegetables contain antioxidants, which may help reverse oxidative stress that comes with endometriosis. Aim for at least 5 servings per day, including leafy greens. Evidence is less clear on fruit intake, but most women would likely benefit from a couple of servings per day. Phytoestrogens are oestrogen-like chemicals found in plants. Soybeans and soy products are the greatest dietary source, but phytoestrogens are also found in flax seeds, oats, fruits, herbs, and other foods. A certain kind of phytoestrogen that’s found in soy products has been said to help convert testosterone into oestrogen. Since endometriosis is oestrogen-dependent, some have questioned whether soy should be avoided (34). Few studies have directly examined the relationship between soy and endometriosis, but limited data indicate it’s neutral, and potentially even helpful. In one study, women with higher concentrations of soy isoflavines in the urine were less likely to develop advanced endometriosis. This suggests that soy may help protect against the disease (35). A 2017 study of 495 premenopausal women also found no link between a high soy intake or high urinary phytoestrogens and increased risk of endometriosis (33). Based on the weight of evidence, soy products do not increase your risk. Summary: Evidence is not conclusive, but it seems that a high soy intake has no impact on the risk of developing endometriosis. Likewise, it probably does not make endometriosis any worse. Moderate alcohol intake of up to 1 drink per day is generally considered safe for most women. Beer, bourbon, and red wine contain phytoestrogens, which may convert to estrogen in the body. 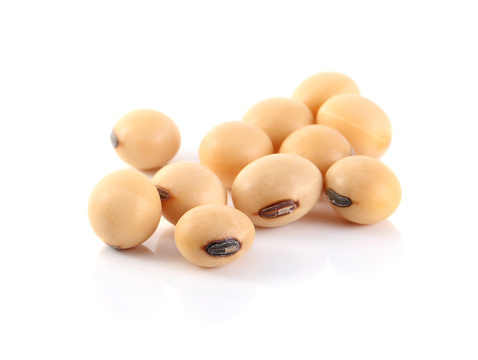 Just like soy, some have questioned whether they increase endometriosis risk (7, 36). Three large studies have found risk to be higher among women who drink the most alcohol, while 3 other studies found no link between alcohol and endometriosis (31, 37, 38, 39, 40, 41). Notably, an often-cited study found that a compound found in red wine may limit the growth of endometrial tissue. But the study was conducted on mice, who were given very high doses of the compound. It wouldn’t be possible to safely drink the amount of wine needed to see any benefit (42). 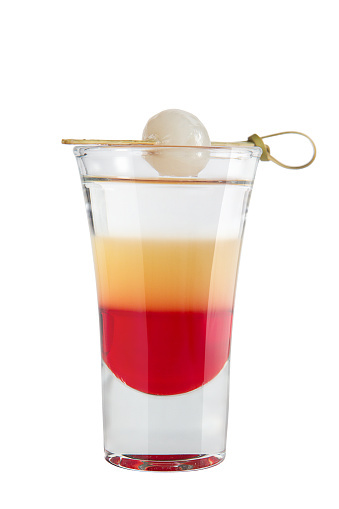 High alcohol intake causes many health problems, so it’s best to limit yourself to 1 drink per day at most. Summary: Several studies have found endometriosis risk to be higher among women who drink excessive alcohol, but other studies haven’t shown a link. High alcohol intake, and especially binge drinking, has many negative health consequences. One drink or less per day is best. Several vitamins and minerals have been reported to relieve symptoms common in endometriosis. 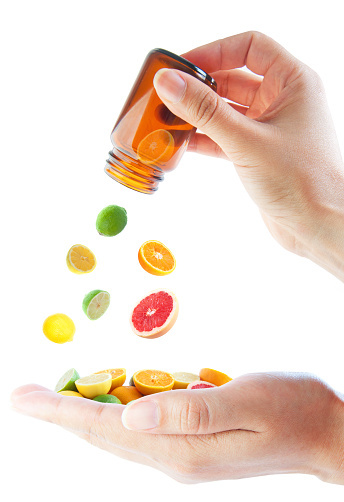 In many cases, studies on vitamins and minerals have used supplements rather than whole foods. As such, it’s difficult to know the amounts of food that would yield similar benefits. Antioxidants are compounds that protect against oxidative stress and cell damage. One group of 46 women received 1200 milligrams (mg) of vitamin E plus 1000 mg of vitamin C daily. A second group of 13 women received placebo (fake) pills daily. 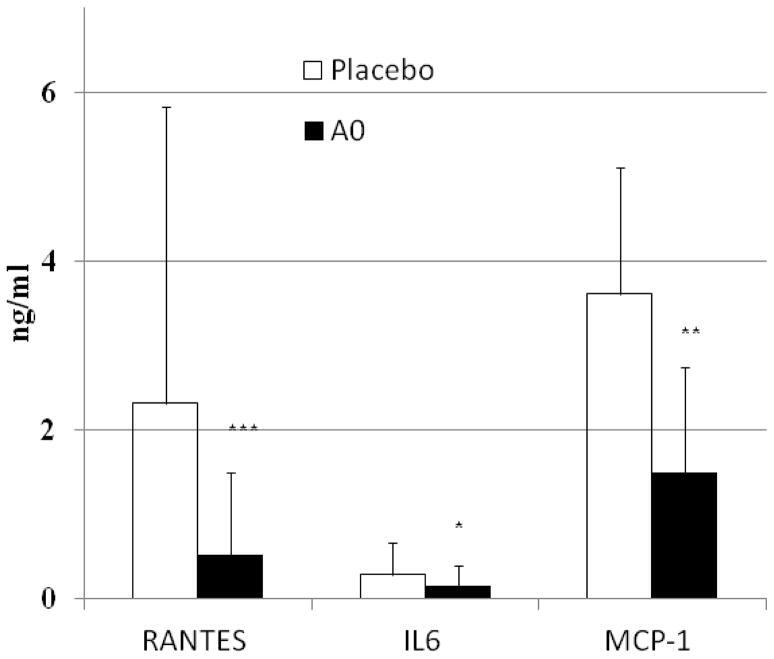 After 8 weeks, the vitamin group had significantly lower levels of known inflammatory markers compared to placebo. Women in the vitamin group also showed significant reductions in self-reported everyday pain, compared to placebo (4). Vitamin C is found in many fruits and vegetables and is particularly high in oranges. Vitamin E is found in foods like almonds and spinach. Studies have also suggested that vitamin D may protect against endometriosis onset, although other studies have found it to have no significant effect on pain and other symptoms (44, 45). More human studies are needed to know the safest and most effective vitamin doses for endometriosis. Speak with your doctor before beginning any new vitamin or supplement. Women with endometriosis may be at higher risk for iron-deficiency anemia due to heavy menstrual periods (46, 47). Symptoms include fatigue, dizziness, headache, shortness of breath, pale skin, weakness, irregular heart beat, and cold hands and feet. A simple blood test can help determine if you’re iron deficient. Your doctor may recommend supplements to help boost your iron levels. Diet changes can also help to improve iron status for those who are anemic. Red meat is rich in iron, although it’s best not to consume fatty meats or large quantities of red meat (47). Other diet sources of iron include seafood, nuts, green leafy vegetables, and fortified grain products. For the record, the body absorbs iron from meat more effectively than from plant sources. Vitamin B1 (thiamine) has been reported to ease menstrual pain. One study of 556 young women with dysmenorrhea found that 100 mg of thiamine per day for 90 days completely relieved menstrual pain in 87% of volunteers and drastically reduced pain in 8% of volunteers (48). Notably, this study didn’t include women with endometriosis, and thiamine was in capsule form. But it’s possible that it would help those with painful periods. Know that thiamine deficiency isn’t common among healthy women in industrialized nations. More research is needed to know if higher dose supplements would affect endometriosis (49). The recommended dietary amounts (RDA) is 1.1 mg per day for women (who aren’t pregnant or lactating) and can be met by eating 3-5 servings of whole grains per day. Magnesium is an element with many important functions in the body, including nerve and muscle regulation. It’s available in many plant foods, including leafy greens, almonds, and beans. It’s also available in capsule, powder, and lotion form. Three small studies have found magnesium to be more effective in reducing menstrual pain than placebo (50, 51, 52, 53). Few adverse effects were reported in these studies, but supplemental magnesium may cause diarrhea, drowsiness, or other symptoms in some. Magnesium deficiency is quite common, with nearly half of Americans consuming less than the RDA. Magnesium supplements can help ensure that daily needs are met (54). Summary: Thiamine, magnesium, and vitamins C, D, and E have been reported to ease pain in endometriosis. Iron may be necessary for women with heavy periods. Ask your doctor if you might benefit from supplements. Several alternative therapies have shown some promising results for treating endometriosis. Just note that much of the evidence so far is from preliminary and animal studies. 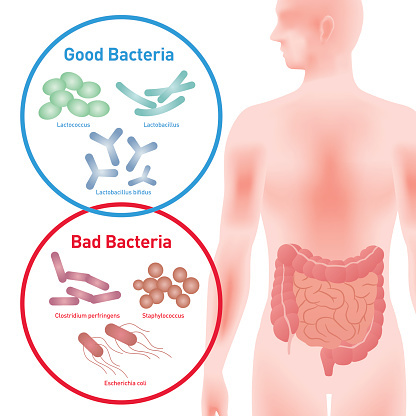 Probiotics are beneficial bacteria that are found in certain foods and supplements. Recent research suggests that imbalances in gut bacteria may trigger or worsen endometriosis by altering estrogen and stem cell activity. The bacteria Lactobacilli seems to play a key role in restoring a healthy balance. Studies of rhesus monkeys with endometriosis showed lower levels of these bacteria compared to healthy monkeys (55, 56). One small study found the probiotic strain Lactobacillus gasseri to significantly reduce the total weight and surface area of endometrial implants in female mice. The exact reason for this is unknown. Researchers believe that L. gasserimay increase levels of a cytokine called interluekin-12, which has been shown to reduce growth of endometrial tissue (56). Human studies are needed to know the best probiotic strains and doses for endometriosis. Melatonin is a hormone that’s commonly used as a sleep aid. One small study has suggested that it may also help reduce the size of endometrial implants, at least in rodents. One group of rats with induced endometriosis received injections of melatonin at a dose of 10 milligrams per kilogram of body weight every day for 4 weeks. The rats were then euthanized, and endometrial implants were measured. Compared to controls (who were euthanized before melatonin treatment) rats who received the injections had significantly smaller and fewer implants (57). Small human studies have also found melatonin to improve endometriosis symptoms, and particularly pain and use of pain medications. The effective dose in this study was 10 mg per day for 8 weeks (58). Larger human studies are needed to know if melatonin is safe and effective for endometriosis patients. Traditional Chinese medicine (TCM) is used in many parts of the world as a complement to standard medical care. It incorporates acupuncture, herbal treatments, massage, and other therapies. Patient testimonials indicate that TCM may provide symptom relief in endometriosis. But scientific evidence is somewhat limited. One review of 3 studies found that acupuncture improved pain and quality of life for volunteers. Women in this review received up to 16 treatments either once or twice a week for 15-25 minutes per session (59). And another study of 67 women with endometriosis found acupuncture to greatly improve menstrual pain (60). Acupuncture is generally well-tolerated with few side effects and may be worth a try for those dealing with pain. Herbal preparations have been used for centuries in Chinese medicine to treat various conditions. One review of 2 small studies found traditional herbal preparations to reduce menstrual pain more effectively than hormonal drugs commonly used in endometriosis. No improvements were seen in rectal, back, or vaginal pain (61). Herbal therapy isn’t for everyone. Medicinal herbs interact with many medications and are not appropriate for those with certain health conditions. Summary: The probiotic Lactobacillus and supplemental melatonin are thought to limit endometrial tissue growth. Limited evidence suggests that acupuncture and Chinese herbal preparations may reduce pain. These treatments may be worth trying with a doctor’s approval. Endometriosis is largely influenced by hormonal and environmental factors that influence oxidative stress. Since diet can protect cells against damage, alter hormone levels, and reduce inflammation, a change in eating habits may help lessen symptoms. Eat fewer trans fats and more omega-3 fats. Limit baked goods, processed foods, and fried foods, and aim for 7 ounces (about 200 grams) of fatty fish per week. Avoid gluten if you have celiac disease or are sensitive to it. A trial of a low FODMAP diet is recommended if you suffer from bowel symptoms. Eat at least five servings of vegetables per day, including some leafy green veggies. Limit alcohol intake to 1 drink or less per day. Ask your doctor if you might benefit from supplemental thiamine, iron, magnesium, or vitamins C, D, E. Probiotics and melatonin have also been reported to reduce endometriosis severity and are recommended with a doctor’s approval only. Acupuncture is generally well-tolerated and has been said to reduce pain. It may be worth a try for those with pain during and in between menstrual periods. Endometriosis is a serious and painful condition, but lifestyle changes and the proper diet can greatly improve health and quality of life. Endometriosis is a medical condition where body tissues outside of the womb (mainly in the pelvic area) behave like the lining of the womb. These tissues thicken and break down, leading to pain and potential fertility problems. According to Endometriosis UK, the condition affects one in 10 women in the UK. While typically a life-long condition, symptoms of endometriosis can be managed. As well as medical treatments, like surgery and hormone treatment, certain lifestyle and diet changes can be beneficial. On this page, we’ll explore endometriosis in more depth, including the symptoms of the condition, the support available and how lifestyle changes and dietary support can help with symptom management. Endometriosis causes tissue outside of the womb to behave in the same way as the lining of the womb. Typically this affects areas surrounding the womb but, in rare cases, it can occur in other areas of the body like the spine. The causes of endometriosis are not fully understood and there are several theories as to why it occurs. The most widely accepted theory is that the tissue of the womb lining is not able to leave the body as it should during a period. This causes it to embed on other organs of the pelvis. This does not, however, explain why some experience the condition after a hysterectomy. Hormones certainly play a part – endometriosis is rare in women who have been through the menopause and so have less oestrogen in their bodies. Oestrogen is a hormone that, when an egg is not fertilised after ovulation, normally causes the womb lining to thicken and then break down. It’s thought that, in endometriosis, oestrogen has the same effect on these womb lining-like tissues that are outside of the womb, leading to symptoms. Symptoms can vary significantly from person to person and for some women, the symptoms can even go unnoticed. While symptoms can vary, many of the above are also often noted alongside fatigue and general lack of energy. Understandably, these symptoms can impact on our general health and well-being, leading to stress and depression for some. If you suspect you have endometriosis, it’s important to get a formal diagnosis from your doctor. Once your doctor has confirmed the condition, you will be able to explore treatments. If you have endometriosis, it’s important to consider your diet and lifestyle when tackling the condition. While there is limited research into the impact nutrition has on the condition, we know that what we eat has a big impact on how we feel. Not only that, but addressing your diet can boost your immune system and provide a preventative measure for overall health, too. That being said, experts believe that following certain dietary principles can help to relieve symptoms related to the condition. It’s believed that eating a balanced, nutritious diet consisting of anti-inflammatory foods is beneficial. Some foods can also help to naturally control hormones, which play a key role in endometriosis symptoms. Of course, it can work in the opposite way, too – it is thought that certain foods may also have a negative effect, triggering symptoms. Changing your diet can be a difficult process, but working with a qualified nutrition professional to support and guide you can help make the transition easier. They will look into your medical history and individual circumstances, to help them create your own tailor-made endometriosis diet plan. The aim of this plan will be to include elements recommended for an endometriosis diet while promoting long-term changes that can be made gradually. Alongside your new diet, you may also be recommended certain lifestyle alterations. This could include quitting smoking, drinking more water and upping your physical activity. Changes like this are thought to help reduce endometriosis symptoms. 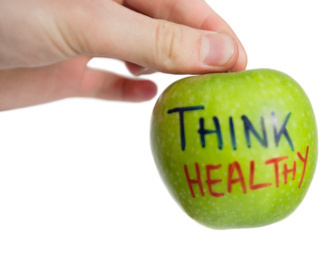 It is recommended that you consult a suitably qualified professional for nutritional advice. They will be able to put together a tailored diet to support your needs, including advice on choosing anti-inflammatory foods rich in vitamins and minerals. Taking your personal health history into consideration, your plan will complement any medical treatments you are already receiving. For a general overview of what foods to include and limit in an endometriosis diet, please see below. As already mentioned, when altering your diet following a formal endometriosis diagnosis, it is as much about avoiding certain ‘trigger’ foods as it is about trying to include beneficial food groups. Some processed foods can contain certain additives and preservatives that may contribute to inflammation in some people. They may also be high in saturated or processed fats that can promote the production of inflammatory prostaglandins, while potentially offering little in terms of nutritional value. Read labels, taking note of the guideline daily amount or traffic light labelling guidance, as well as reading the list of ingredients, to see if perhaps there are healthier products you could choose. Interestingly, many people with the condition report that symptoms ease after limiting gluten. The link between the two is unknown, but it’s thought that a gluten sensitivity may trigger bowel symptoms which may then increase pain levels. If you suspect a negative response to gluten-containing foods, try limiting your intake and eating naturally gluten-free options such as wild rice, quinoa and sweet potato, to see if you notice an improvement. Found in margarine, butter and lard, these fats trigger the production of negative inflammatory prostaglandins. This can cause endometrial cramps and the spread of endometriosis. Alternatively, foods rich in omega-3 and -6 fatty acids are thought to be crucial for healthy hormone functioning. But before upping your intake of these, be sure to consult a qualified nutritional professional; the wrong combination of omega-6 and omega-3 fatty acids can cause further inflammation. Full-fat dairy products are relatively high in saturated fats and may, therefore, contribute to inflammation. Try choosing low-fat options for products, like yoghurts and milk, so that you can still benefit from these foods as a source of calcium if you wish. You may also want to limit your cheese intake. Alternately, if you find you do better with less dairy in your diet, you can opt for calcium-fortified alternatives such as almond, coconut and rice milk. A healthy liver is important for good hormone balance, as the liver detoxifies chemicals and waste products including excess hormones. Alcohol can be extremely inflammatory and affect vitamin D levels in the liver. So, try to limit alcohol consumption where possible to support the liver in functioning well. Caffeine can increase menstrual pain and oestrogen levels, as well as aggravating the digestive symptoms many women experience. If you find that caffeine impacts your symptoms, try reducing your intake and trying some healthy and natural alternatives. Phytoestrogens are a natural type of plant oestrogen that can contain toxins that can trigger endometriosis symptoms. One example is unfermented soy products, such as edamame beans, soy milk and soy cheese. However, when soybeans are fermented – in products such as tofu, natto, miso, tempeh and soy sauce – the beneficial phytochemicals can be more easily absorbed into the body. These products are a good source of omega-3 and protein for the endometriosis diet. These have a much stronger, stimulating effect and are not cleared very quickly from the body. For example, red meat, which can contain man-made oestrogens that have been mixed into the feed that livestock eat. Like dairy, red meat can be inflammatory and also difficult to digest. Where possible, it can be best practice to buy herbicide-free, organic produce as synthetic estrogens may also be present in commercially-grown produce. Grain-fed meats are also preferable, in order to avoid hormone fed livestock. Where available, look for grass-fed beef, organic free-range poultry or organically fed pork. Before making any changes to your diet, please consult your doctor and a qualified nutrition professional. Now we know what foods are best to avoid in order to limit food-related symptoms, what foods are important to include in your diet? Fibre is important as it helps to expel unwanted substances from the body – particularly excess hormones (oestrogen) – in the case of endometriosis. Fibre can also help to stabilise your blood sugar levels and can help to reduce inflammation. The aim is to include the recommended 30g of fibre a day in your diet. This could be in the form of whole grains, beans and lentils, vegetables and fruits. Soluble fibre is particularly useful as this is the form that binds to substances and reduces their absorption. Examples of soluble fibre include legumes and foods such as chia seeds. Ensuring to include some iron-rich foods in your diet can replace iron that may be lost through heavy periods – a common symptom of endometriosis. Iron-rich foods include dark green leafy vegetables such as cabbage, kale, spinach and broccoli, red meat or beetroot. A good balance of healthy fats is essential for most people, but particularly for endometriosis sufferers, as EFAs can aid hormone balance and reduce inflammation, which help to relieve endometriosis symptoms. Look to include foods rich in essential fatty acids such as oily fish (salmon, sardines, mackerel, anchovies), as well as nuts and seeds. If you don’t think you are getting enough EFAs in your diet, speak to a nutritionist. They may be able to recommend supplements or oils (such as walnut and evening primrose). While there is no known cure for endometriosis, there are treatments to help manage symptoms. When deciding which treatment to try, you are advised to speak to your doctor who will take your individual circumstances into consideration. To treat pain and inflammation, non-steroidal anti-inflammatories (NSAIDs) like ibuprofen are often recommended. These can help tackle the inflammation and swelling, as well as alleviating the associated pain. Paracetamol can also be used, however this may not be as effective as it doesn’t reduce inflammation. Stronger painkillers like codeine can be used if other painkillers are not suitable; however, as a common side-effect is constipation, it can aggravate endometriosis symptoms. Hormone treatments aim to limit the body’s production of oestrogen. This hormone is responsible for the growth and shedding of endometrial tissue. With less of this hormone, the degree of problem tissues can be reduced. Hormone treatment cannot treat adhesions (the ‘sticky’ areas of tissue that can fuse organs together) or improve fertility. The most commonly used hormone treatments are the combined oral contraceptive pill or patch, as these can be used over long periods of time. Laparoscopic surgery – The least invasive form of surgery, this is done through keyhole surgery. Laparotomy – For severe cases, a wide cut is made to the abdominal area so the affected tissue can be accessed and removed. Hysterectomy – Radical surgery is considered if a woman has not responded to other treatments. Hysterectomy is the removal of the womb and can be done with or without the removal of ovaries, though this does not guarantee reduced endometriosis symptoms. Hysterectomy is not a decision to make lightly, so please consider all options and consult your GP before any treatment. HEndometriosis causes endometrial tissue, which usually lines the uterus, to develop outside of the uterus. It can cause chronic pain, heavy or irregular periods, and infertility. Some people also report weight gain and bloating. Little research has explored why endometriosis might cause weight gain. People with endometriosis who suspect that the condition is causing weight gain or making it difficult for them to lose weight should speak to a doctor. Sometimes, other conditions such as polycystic ovary syndrome (PCOS) can mimic the symptoms of endometriosis. In this article, we look at how endometriosis may cause weight gain and explore how to achieve and maintain a healthy weight. While plenty of anecdotal evidence has linked endometriosis to weight gain, scientific research does not yet back this up. Qualitative research from 2014 found that some women feel that endometriosis contributes to weight gain and poor body image. There are at least four ways in which endometriosis might cause weight gain. Bloating and fluid retention are common endometriosis symptoms. While bloating does not cause the body to gain fat, it can make a person look and feel heavier. Bloating may also change the way that clothing fits. Many people notice that bloating is worse immediately before or during their period. Endometriosis is an estrogen-dependent disease, which means that the symptoms worsen with higher estrogen levels. Some people believe that estrogen dominance causes weight gain. This happens when the body produces too much estrogen, outweighing the progesterone. Many studies show that endometriosis treatments may cause weight gain. One of the most effective treatments for endometriosis is a synthetic form of the hormone progesterone. Progesterone slows the growth of endometrial tissue. However, many women experience weight gain with progesterone. According to a 2010 study, 40–50 percent of women gain weight or retain water with progesterone treatment. Endometriosis is painful. For some people, the pain is severe enough to make it difficult to exercise and stay active. Over time, this can cause weight gain. The severity of the symptoms does not necessarily indicate how extensive the endometriosis adhesions are. Some people with severe endometriosis have no symptoms. People with mild endometriosis may have severe symptoms. Many natural and alternative health websites promise to help people with endometriosis lose weight with special diets. However, there is no clinical evidence to suggest that an endometriosis-specific diet can help with weight gain or reduce endometriosis symptoms. Having surgery to remove endometrial tissue that is growing outside of the uterus can help with pain and may reduce bloating. This, in turn, may help a person lose weight or look thinner. Increasing physical activity. Walk as often as possible and take regular breaks from long periods of sitting. The Physical Activity Guidelines for Americans 2015–2020 advise getting 150–300 minutes of moderate-intensity cardio or 75–150 minutes of high-intensity cardio each week. They also advise strength training on at least 2 days per week. Eating a variety of filling, lower-calorie foods. Avoiding excess sugary snacks, sodas, and other sweetened drinks can also help. Eating more protein. Protein may improve metabolism and help a person feel fuller for longer. This reduces the desire to eat high-calorie snacks. People with endometriosis should talk to a doctor about weight loss strategies, especially if they have other conditions such as PCOS. PCOS has some similar symptoms to endometriosis. PCOS occurs due to a hormone imbalance and, like endometriosis, can cause painful periods. It is possible for people with endometriosis to also have PCOS. For this reason, it is important for people with irregular periods, painful periods, or fertility issues to seek testing for both conditions. PCOS can cause weight gain, often due to insulin resistance. A low-glycemic index diet may help with PCOS-related weight gain. Some people also find that hormonal birth control pills help with symptoms. Endometriosis is a chronic condition. However, a number of management strategies, including hormone treatments and surgery, can help with symptoms. Many women with endometriosis feel frustrated that there is little research available about endometriosis-related weight gain. A doctor who listens and takes a person’s symptoms seriously is the key to finding an effective treatment. By talking to their doctors about weight gain, people can get personalized weight loss strategies and support for the challenges of living with endometriosis.